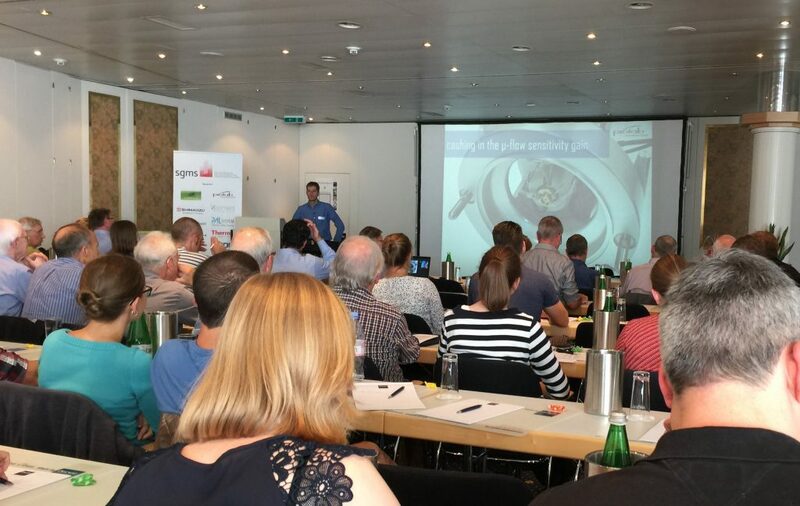 At last week’s annual meeting of the Swiss Group for Mass Spectrometry, we introduced our newest accessory for increased micro-HPLC sensitivity. 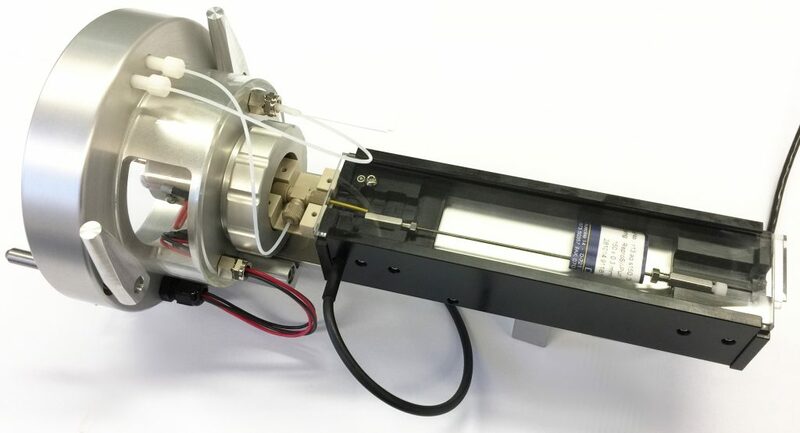 The Prolab Microflow Ion Source was designed for the Sciex 6500 series of mass spectrometers to fully exploit the sensitivity benefits of flow rates between 1 to 20 uL/min. 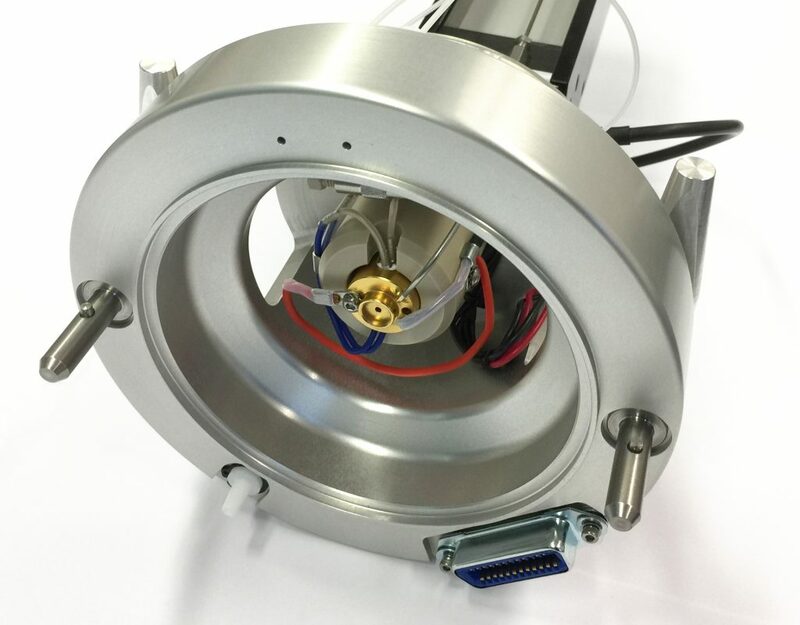 Scaling an example method from a 2 mm down to a 0.3 mm ID column was shown to yield a 30-fold sensitivity gain, as opposed to a mere factor of 3 to 4 attained with the original Turbo V ion source. 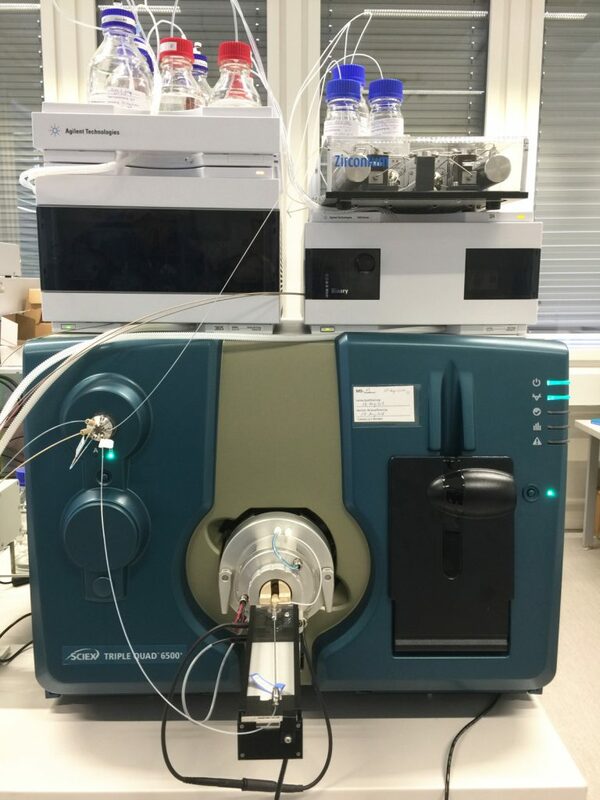 Proper ionization is ensured by a nebulizing gas at the spray tip and a heated declustering channel for improved desolvation. A column oven is attached directly in front of the spray to guarantee that the post-column volume is as small as possible. Download the application poster here.